U.S. Secretary of State Mike Pompeo has said he is “confident” there will be a third summit between President Donald Trump and North Korean leader Kim Jong Un, noting that talks with Pyongyang are continuing after a February nuclear summit in Hanoi failed to yield a deal. Asked if the meeting would come soon, Pompeo told “CBS This Morning” on Friday that he hoped that would be the case. Still, Pompeo said U.S.-North Korea diplomatic channels remained open and the two sides have “had conversations after Hanoi about how to move forward.” He did not elaborate. Next week will see two key events that could shape any progress in U.S.-North Korea talks: a summit between Trump and South Korean President Moon Jae-in in Washington on April 11 and a session of the North’s Supreme People’s Assembly, the country’s rubber-stamp parliament, in Pyongyang the same day. The Hanoi summit, the second between Trump and Kim in less than a year, fell apart over a failure to reconcile North Korean demands for sanctions relief with U.S. demands for Kim to give up his weapons of mass destruction. 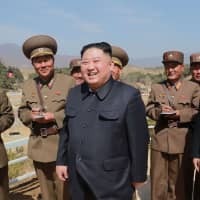 North Korea has since warned that it is considering halting talks and may rethink a freeze on missile and nuclear tests, in place since 2017, unless Washington relents and makes concessions. Moon is widely expected to try to convince Trump to offer some limited easing of sanctions as a sign of goodwill, including allowing inter-Korean projects such as the reopening of the Kaesong industrial complex and tourism to Mount Kumgang. But Pompeo remained firm that crippling economic sanctions on the North would not be lifted until it relinquished its nuclear weapons. In terms of moving the North Korean nuclear negotiations forward, “Trump will have to give more on the peace process and Moon will have to address denuclearization in a more concrete way during their meeting,” Kim added. Pompeo’s remarks came a day after the Japanese Defense Ministry’s think tank warned Friday that Pyongyang could use negotiations with Washington to stall for time. Pyongyang may take advantage of the negotiations to buy time to rebuild its economy while continuing its nuclear and missile development, the National Institute for Defense Studies said in its East Asian Strategic Review 2019 report. As for the North Korean assembly meeting, at which Kim is expected to speak, Pompeo said that the U.S. would be watching “very closely” what he says. The assembly meeting follows the North’s first national election in five years last month, in which, unusually, Kim was not on the ballot. North Korea-watchers are also closely monitoring whether Kim will map out a new diplomatic policy toward the U.S. at the assembly, though some say the timing of the Moon-Trump talks may postpone any announcement on that front. 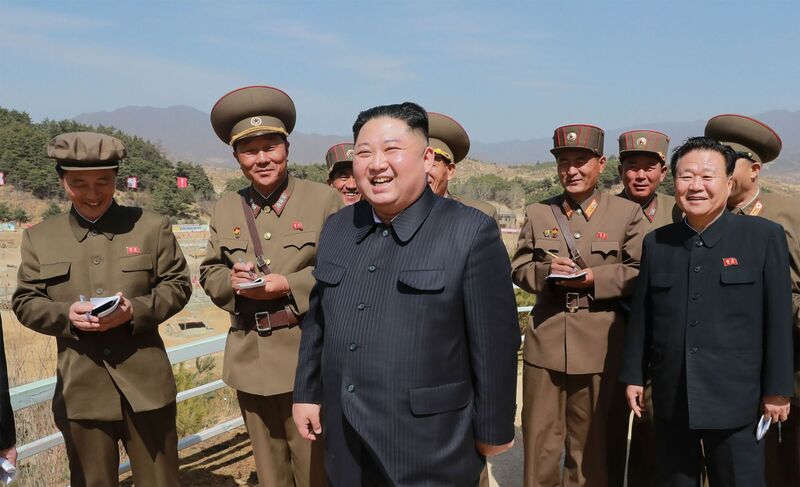 In a possible indication of what could top that meeting’s agenda, North Korean state-run media has in recent days run stories focusing on a series of recent visits by Kim to large-scale economic projects he has overseen. Last April, the North Korean leader announced that his country had suspended nuclear and longer-range missile tests and that it would mothball its main atomic test site, while also shifting its focus to building up its moribund economy. But in the months since, Kim has made little progress in kick-starting the North’s economy as the country remains under strict U.N. and unilateral sanctions.